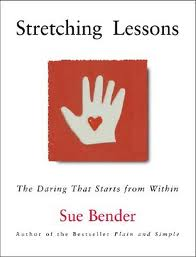 I’ve picked up Sue Bender’s book Stretching Lessons. (Book three of a three book series) So far I am enjoying it. Funny how I keep forgetting to do the first part because I’m so busy doing the second part. This book may well give me headaches from continual nodding as I read. The other reason I am pleased is the wide-open spaces between nice short paragraphs; sometimes even between sentences. This may sound like a daft reason but, reading as much as I do it’s a delight to find a book with space. It forces me to rest instead of gobbling up the words. Room to think. Once I finish Stretching Lessons I will slowly gobble (can one do that?) the other two in the series. I may continue to live on the edge and read them out of order too. . . wild child of wolves that I am! While I wait for more from: Kerry Greenwood, Janet Evanovich, M.C. Beaton, Denise Swanson and on and on and . . . . . Thank you for sharing. 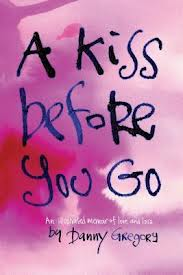 I think I’m going to get A Kiss Before You Go. Good on you and I hope it reaches you like it did me.